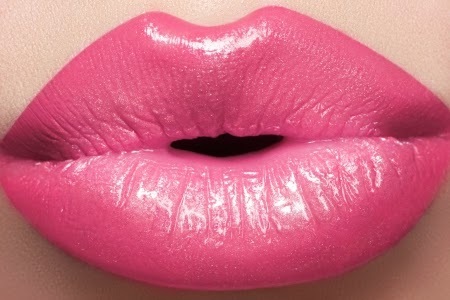 The most sensitive part of the body, which always has a threat of getting chapped and dried, is lips. As winters advances, the problem of chapping and dryness of lips increases even more. Moreover, cracked and desiccated lips lose their gloss swiftly, and are not good to look at. Such lips can even get infected very easily. To look good and to liberate yourself from getting any kind of infection, it is essential to give proper care and treatment to the lips. So, if you want to get stunning lips, like Angelina Jolie, follow the natural remedies given in the article. There are some do’s and don’ts that should be followed to prevent the problem of dry lips. Apply sunscreen based (SPF 15) moisturizer or lip balm to avoid dark, dry and scaly lips, before stepping out of home. Vitamin A rich diet should be consumed, which includes tomatoes, carrots and green leafy vegetables. Apply lip balm before you sleep. If possible, use balms containing shea or cocoa butter. Never peel off the dead dry skin from the lips, instead clean it with a cotton ball soaked in warm water or with the help of soft bristled toothbrush. Never lick or bite the skin of lips.